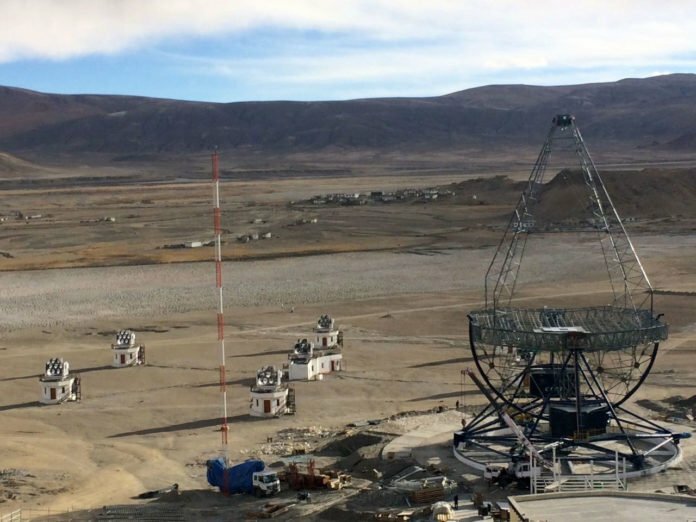 A view of upcoming MACE telescope next to the Hagar array at Hanle in Ladakh. The new 4 meter telescope will also be installed in this area. 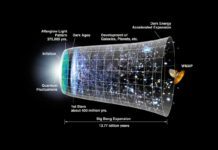 Indian astronomers would soon be able to observe and monitor spectacular celestial events like an explosion of stars, falling of matter into black holes and collision of extraterrestrial objects better. Researchers at Tata Institute of Fundamental Research (TIFR) and Bhabha Atomic Research Centre (BARC) are developing a new gamma-ray telescope. The four-meter telescope will be able to operate in a bright environment like twilight hours and moon-lit nights, unlike traditional ones that operate only in dark hours of the night. It will be the second such telescope to be available globally. The first one is in La Palma in Canary Islands set up jointly by Switzerland and Germany in 2011. Speaking to India Science Wire, Dr. Varsha Chitnis of Department of High Energy Physics at TIFR, said the imaging camera to be used in the telescope is different from convention ones. 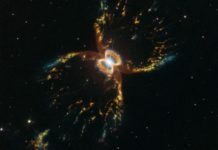 It used pixels made of what is called Geiger-mode avalanche photo-diodes (G-APDs), while conventional telescope cameras are based on photomultiplier tubes (PMTs). “G-APDs need a much lower operation voltage, are more robust and have higher photon detection efficiency. They can be operated during strong moonlight and are ideal for a gamma-ray telescope,” she added. 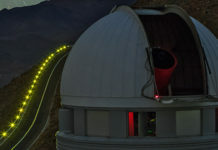 The new telescope will be located near the High Altitude Gamma Ray (HAGAR) array at Hanle in Ladakh which houses the Indian Astronomical Observatory operated by Indian Institute of Astrophysics, Bengaluru.t will work in tandem with MACE (Major Atmospheric Cerenkov Experiment) – a 21-metre diameter gamma-ray imaging telescope which is also under installation at Hanle. While MACE will operate in discovery mode looking at candidate sources of a gamma ray or very faint objects, the new telescope will keep an eye on blazars. Whenever there is any flaring activity in any of them, it will alert MACE which will then shift its focus to the active blazer. Gamma rays provide the best window to study what is called the non-thermal universe. Cosmic rays form an important component of the non-thermal universe. 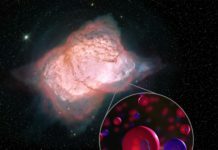 It is thought that remnants of supernova explosions accelerate cosmic rays with energies at the lower end of the cosmic ray spectrum and that higher energy cosmic rays could be accelerated in active galactic nuclei. Gamma rays are also produced when charged particles are accelerated to such high energies through different processes. 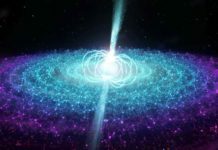 Thus the study of the gamma-ray emissions from various celestial objects is expected to give a clue regarding the origin of cosmic rays and insights into the emission regions and emission processes in these sources. 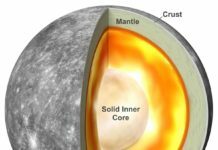 The details of the new telescope have been discussed in a recent paper published in the Journal of Astrophysics and Astronomy.